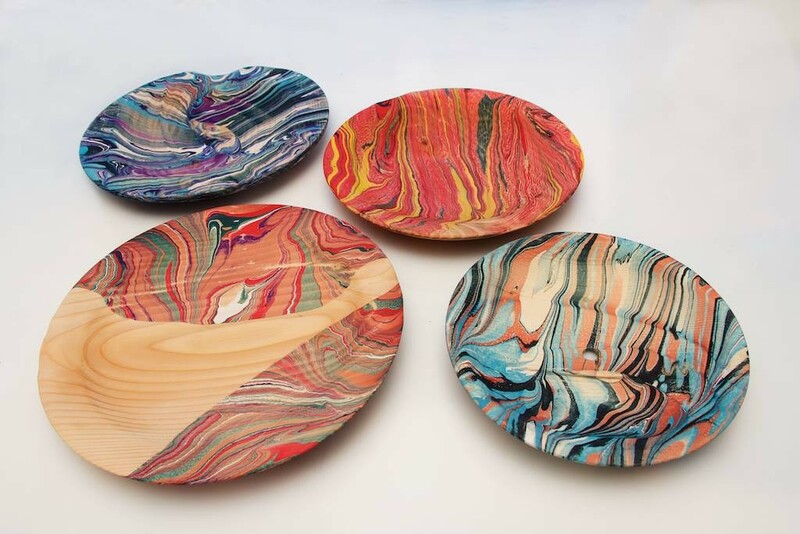 My first collaborative workshop with Ken Lindgren, wood turning artist! 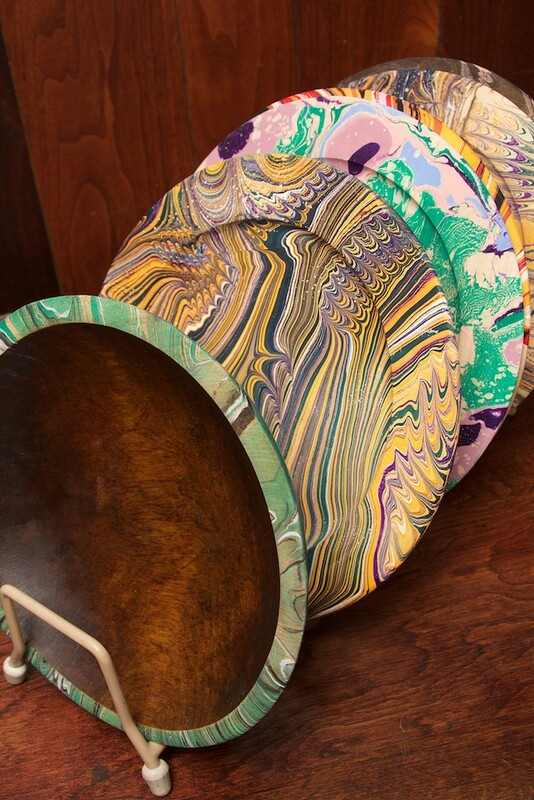 This combo class includes turning a wooden plate and then decorating it afterward using Turkish-style marbling techniques. Start with pieces of tree limbs and trunks, make them round and take off from there. 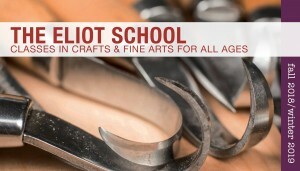 Beginners will learn basic lathe techniques while experienced students advance to the next level at their own pace. Wood will be provided in class; advanced turners may bring their own. 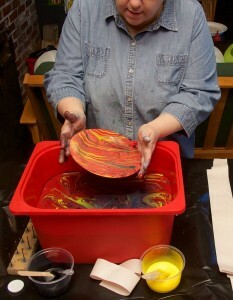 Then decorate the bowls, creating beautiful swirls and mottling colors with marbling.